The term “cult hero” is a pretty loaded one. 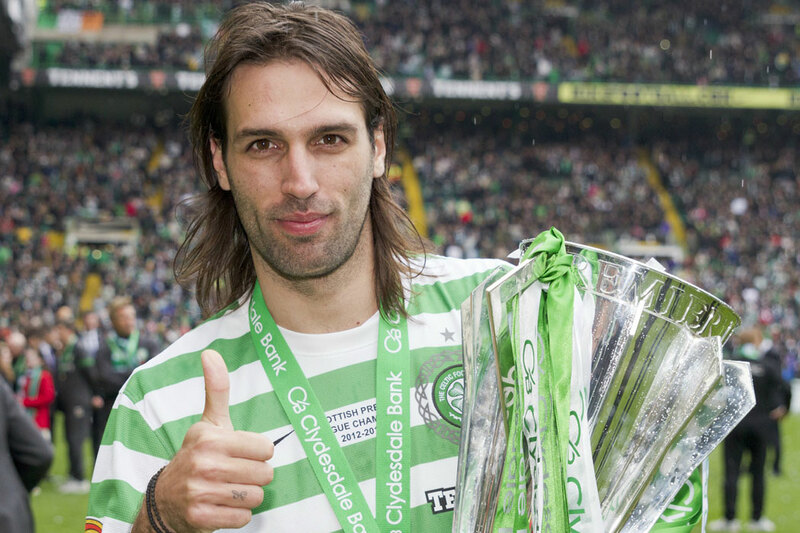 For four-and-a-bit seasons of his Celtic career though, it was probably about as generous a tag as Georgios Samaras could have hoped for. Perhaps unfair, given that the only other obvious candidate competing for the same title was the squad’s ultimate “luxury” performer, Paddy McCourt. Another mercurial talent with a maddening proneness to liability episodes, only whose struggles with fitness and comparative lack of top-level experience meant the Irishman was never even close to being a realistic Champions League-level standout. Whereas it would seem successive management teams kept faith that the enigmatic Greek contained all the weaponry to be just that, if only his talent could be fully harnessed. Well, 2012-2013 was undoubtedly the season in which the erstwhile Greek Tragedy completed his official transformation to Greek God. 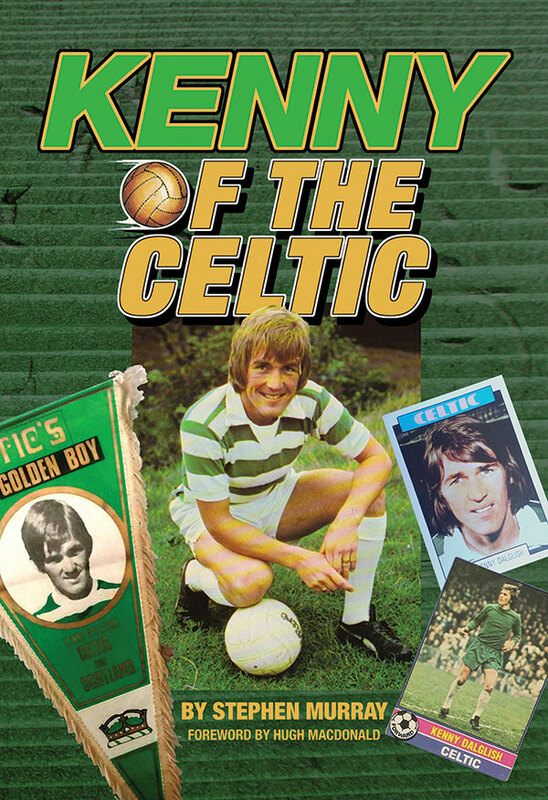 Of course, there are plenty in the Celtic support who can now rightly take great pride in having “stood by” the gorgeous one, a player who, if written off by many at previous points during his time in hoops – most especially following a difficult year under Tony Mowbray when the SPL goals tally dropped to a miserable three strikes for a supposedly standout attacking performer – continued only to divide opinion rather than unite all against him, on account of a sizeable chunk of fans rarely slow to defend his contribution and point to a reservoir of potential in a player still to reach out of his mid-twenties at the time. For those like myself who had about had it with Sammy a season or two back, it’s only with hindsight that it now looks like the stuff of madness to have considered jettisoning the Greek international given the precarious situation of a club in an unfashionable domestic set-up when it comes to securing top-quality replacements. Not to mention the fact that despite a tough time with the supporters, the player never seemed to lose his appetite for football in Glasgow. Celtic Park is a place where he appears at ease, at home, and now increasingly able to develop his talents whilst indeed taking on no less than a talisman role as one of the most likely names on the team sheet for the very biggest games facing a still young squad. A glorious Champions League campaign this term – and given the our starting position, I make no apologies for using the term, even accounting for a chastening experience at the hands of Juventus in the knockout stages – underlined Samaras’s transformation and then some. 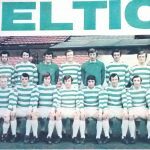 By the time Celtic were vying, incredibly, for a first place group finish alongside the might of Barcelona, and ahead of eventual Europa League finalists Benfica, and a moneyed, ambitious Moscow Spartak, Sammy was not just coping but flourishing. So much so that at one point his net-bulging antics eclipsed the combined tally of the nouveau riche Manchester City’s entire frontline even, helping Celtic defy the odds and create headlines worldwide, whilst EPL gazillionaire royalty floundered against less arduous competition. 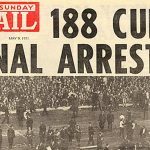 In the club’s 125th anniversary year, it left supporters walking on air for a time, a period of some months during which the excitement and intrigue set Parkhead ablaze, even accounting for an increasing sense of drudgery about domestic matches. If we include both qualifying rounds – and why not, given that many felt that much might have proved beyond a squad and management team whose previous European tests were restricted to the Europa League, where it still took a second season for the group to fully acclimatise – Sammy chipped in with five goals from ten games, a remarkable return for a player who was fast gaining a reputation as a non-scoring forward on the back of two seasons when his combined totals in all competitions failed to even threaten double figures. Regardless of what unfolds, a place on highlights reels and commemorative DVDs is now pretty much assured for our hirsute hero, come the year 2063 and no doubt beyond. By May, he was back in the same territory he had occupied during Gordon Strachan’s final two seasons with a total of 14 from his 40 outings, a much more respectable figure when placed in the context of his overall contribution – also including numerous crucial assists and some glowing individual outings when his tireless running and fleet of foot meant he was the most obvious counter-attacking outlet from midfield forward, and the player most likely to place opposition midfielders and defenders on the back foot. Crucial, given that each European match delivered spells when chasing and harrying team-mates were crying out for breathers. And what goals too. They came in all shape and sizes. To go with the iron lungs and languid running style, Sammy proved himself a bona fide Champions League menace in the air with colossal headers against Moscow Spartak and Barcelona. 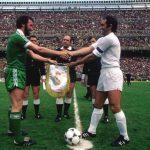 Nor are we talking consolation strikes or gimmes – in Russia, a last minute plant beyond Pletikosa exploded Celtic’s away-day hoodoo in a heartbeat, rocket-propelling the confidence of the group from thereon out. In the Camp Nou, fleeting opportunities at goal were all the team were ever realistically likely to encounter, and Samaras made certain one would count, barely a quarter of an hour elapsed. He repeated the feat to briefly threaten the theft of a point from Lisbon, although it was not to be on that night when the team arguably put in their poorest shift of the campaign. 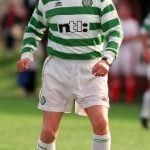 By all accounts – and this may be indicative of a culture-gap oft bemoaned by observers who tire of a typically British bias toward earnest plodders ahead of more inventive, if erratic performers, continental commentators and pundits were not slow to identify him as the Celtic standout. 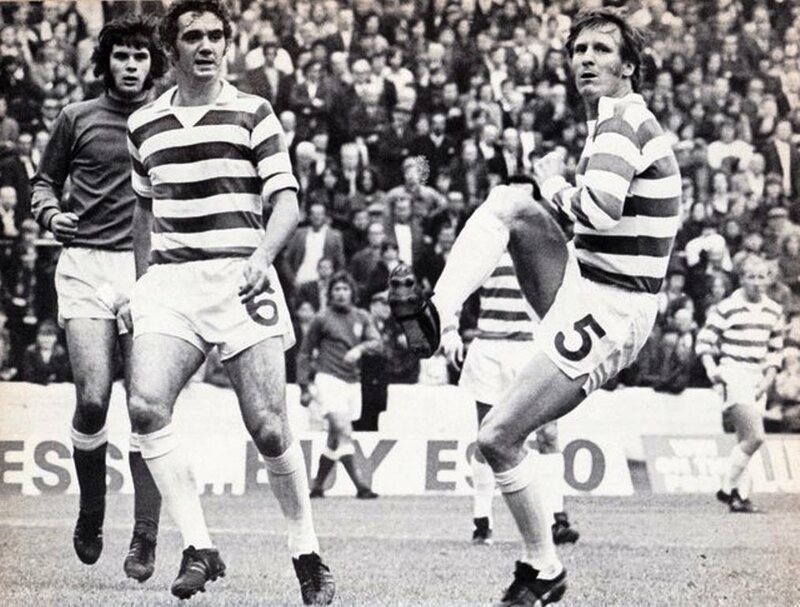 But for all that, his most remarkable, acrobatic strikes were arguably produced in two domestic matches, both overhead kicks, on one Boxing Day in a routine victory against Dundee, but the more memorable arriving in a thrilling encounter at home to Aberdeen in which the team eventually overcame a series of self-inflicted calamities to turn a 1-3 reverse into a 4-3 win, capped with a 94th minute acrobatic winner – Roy of the Rovers material whatever the opposition, surely. His reward has been 12 months of practically undiluted acclaim from a support many of whom are now having to frantically bury their earlier dismissal of the player. The sight of Sammy sporting the captain’s armband has also become increasingly frequent as he now finds himself firmly ensconced among the group’s senior players and guiding lights. CU Player of the Year 2012-2013, a year in which we completed a domestic double and were not short of Champions League standouts. Utterly deserved, and maybe next term he’ll even get a starting place for the cup final. Ooh, aah, Samaras!